Before I share my recipe of the week with you, I wanted to encourage you to go read one of my favorite blogger’s latest post: Running Sunflower. Shannon was at the Boston’s Marathon last week. She is a great runner and an awesome writer, and I found her post very moving and inspiring. Her writing is so poetic that, even though I’m not a runner, I find inspiration in other areas of my life just by reading her blog. A great read for sure. So for this week’s recipe, I’ve put on my New Mexican hat instead of the French one. Since I’ve moved to New Mexico, my cooking has become a little more… Spicy! It comes with the territory and I like having such different cooking influences, it makes for interesting new recipes. This recipe is pretty straight forward. 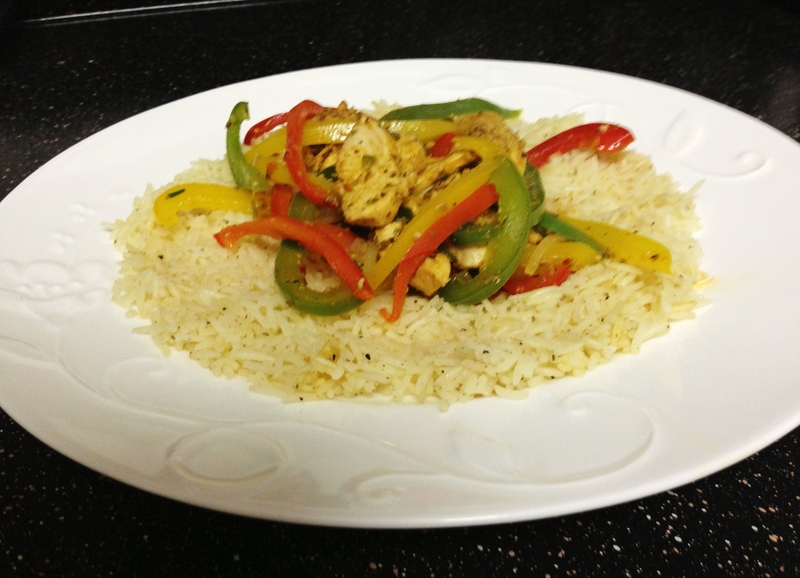 It’s very similar to chicken fajitas, but without the tortillas. I experimented with spices and was very happy with the result. I’m warning you right now, this recipe is quite spicy, a great explosion of flavors. Cut chicken breasts in thin slices. In a big Ziploc bag, add all the spices, sliced chicken, lemon juice and olive oil. Shake bag so spices and chicken slices are all mixed. Let seat in fridge for 1h30. Empty contents in a big pan. Add bell peppers and onion. Cook until chicken is cooked throughout, for about 20 min. 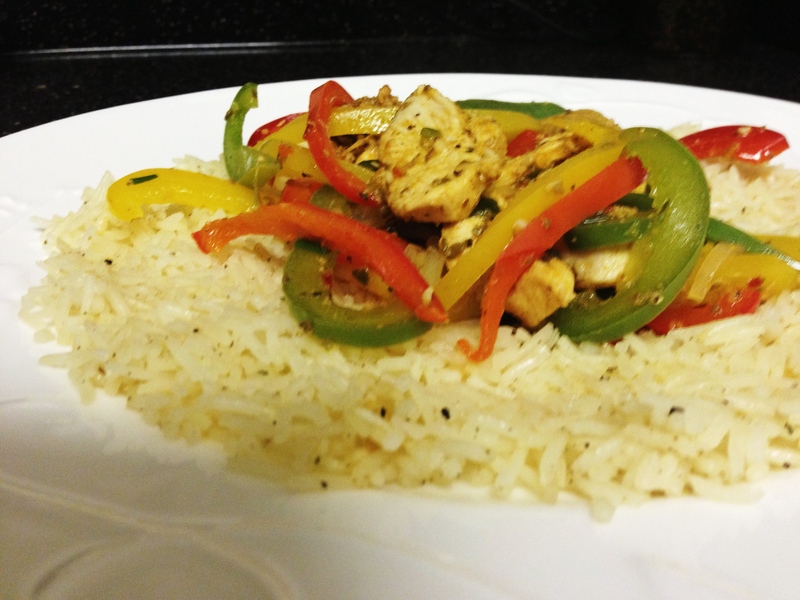 Serve with some basmati rice. Colourful and healthy, I’ll see if I can cope with the spice! I’m sure you can. I’ve seen a few spicy recipes on your blog 😉 Loving the new “look” on your blog btw! Great job. « Little Clouds of Heaven – Did I hear Cheese?